The Yellow Vests Have France’s Attention, but What Exactly Are They Saying? 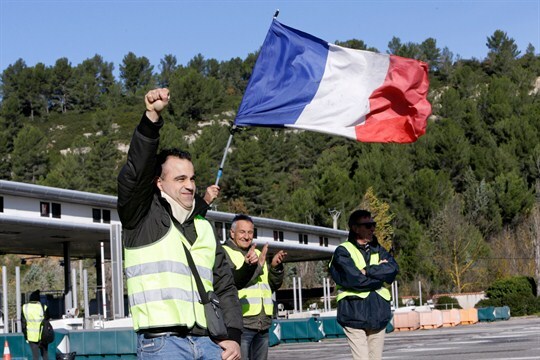 Protesters open the toll gates on a motorway near Aix-en-Provence, southeastern France, Dec. 4, 2018 (AP photo by Claude Paris). PARIS—What to make of the Yellow Vests? For a third week in a row, they continue to dominate the news. Televised scenes of pitched street battles between protesters and police on Saturday raised alarm about an “insurrectional atmosphere” unseen in France since May 1968. Reports suggested that French President Emmanuel Macron might declare a state of emergency in response.